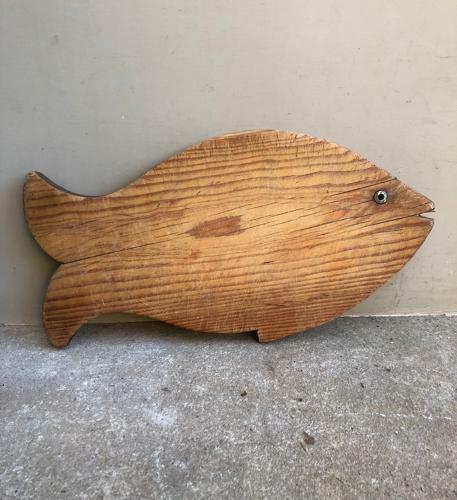 Early 20th Century Pine Chopping Board shaped as a fish...with its metal eye intact. You dont see these often. It is used as expected but overall great condition a quirky little item. No worm.